Over the next 5 years companies will invest roughly $1.7 trillion* on training their talent. However, a lot of that will be wasted because the way companies buy professional training is inefficient, biased, and fundamentally broken. A) How the next generation of companies are using “Trust” to fix these problems. B) How a new methodology that measures the ‘Trustworthiness’ of training providers and their courses, will help companies make 50 billion dollars worth of confident training investment decisions by December 2023. The problems companies face when buying training today. In my former corporate roles, my teams were responsible for the investment in training. We had a big community of project management professionals to train with a decent budget, which was great. But, when it came to buying training, that was a nightmare. The difficulty we faced is the same for most companies when buying training; every training provider says the same thing “We have the most experienced trainers, we deliver the highest quality training, we have a pass mark of 99.99%.” For lots of training providers that is the truth, for lots of other training providers that is not the truth…and everyone knows it. This is why we had to spend excessive amounts of time reading stacks of training proposals. Then we had meetings to decide which training proposals to throw in the bin (‘trash’ if you’re American). Then we sat through endless sales meetings trying to decide which training provider was a match for our culture, and which one we felt would deliver what they promised. Ultimately, we had to gamble on a training provider. Sometimes the gamble paid off, and sometimes it didn’t. So, the question we asked ourselves was, which training provider do we trust?… and therein lies the magic word, TRUST. We’ve all thought about trust before, but it is not until you dig deeper into the subject that you’ll appreciate just how complex it is. Trust spans many different subject areas including sociology, psychology and economics. My specific niche of interest focuses on the consumer-brand aspects of trust. Based on our research, my favorite definition of consumer-brand trust comes from Elena Delgado-Ballester, Assistant Professor of Marketing at the University of Murcia. Before I go deeper into the geeky-trust stuff, a bit of context about me and why I love a good methodology. I’m a big methodology fan, and have a reasonable amount of history with methodology design. Good methodologies apply structure to help solve problems, and in so doing improve the lives of people. I for one think that’s very cool. The last methodology I designed was for the British Government. It’s called Management of Portfolios (MoP). Companies and governments worldwide use it to select the best projects i.e the projects that add the most value to their strategy. MoP has been adopted in a wide variety of industries including finance, defense, healthcare, IT and nuclear. Over 10,000 professionals now have the MoP certification, which has generated $20 million – $30 million of revenue for the training industry. Whilst it is impossible to know the total value of projects that MoP has helped globally, I personally have used it to advise over $20 billion worth of projects during the last 6 years. Enough about the past. Let’s talk about today, and how “Trust” will help companies confidently invest 50 billion dollars in high-quality professional training. Reader Beware: this article is about to get geeky. The rest of this article focuses on a new patent-pending methodology and algorithm that I designed to make it easy for companies to select the best courses; by using a unique score of ‘Training Trustworthiness.’ You can think of the ‘Training Trustworthiness’ score as a similar score to the Experian credit check score – but for training providers and their courses. I’m also going to give you an overview of the mathematics that power the core algorithm, and show you how it creates the main visual output called the Trusted Training Radar™. The value of the Trusted Training Radar™. The Trusted Training Radar™ visualizes the training marketplace and helps training buyers in companies make quicker, more informed decisions about which training providers and courses are best for their people. My next methodology: Measuring the trustworthiness of training providers and their courses. I believe everyone deserves the best training, and I want to live in a world where companies can easily choose the best training courses for their people, consistently and confidently. To make this happen I have designed, built, and now have a patent-pending on a new methodology and algorithm. It measures the trustworthiness of training providers and their courses by calculating scores for Confidence and Satisfaction. The core algorithm uses references from other companies and customer review data from Course Conductor™ (and other approved customer review websites) to correlate 55 individual weighted measures across four learning dimensions. Then, based on the results, the algorithm calculates the scores for training Confidence and Satisfaction. 1) Positioning: To position the training provider on the Trusted Training Radar™ within the Leader, High Performer or Contender categories (on a course by course basis). 2) Comparing: When Confidence and Satisfaction scores are combined, an overall Training Trustworthiness Score is created for the training provider. This score enables training providers and their courses to be prioritized and compared independently, statistically, consistently and fairly. 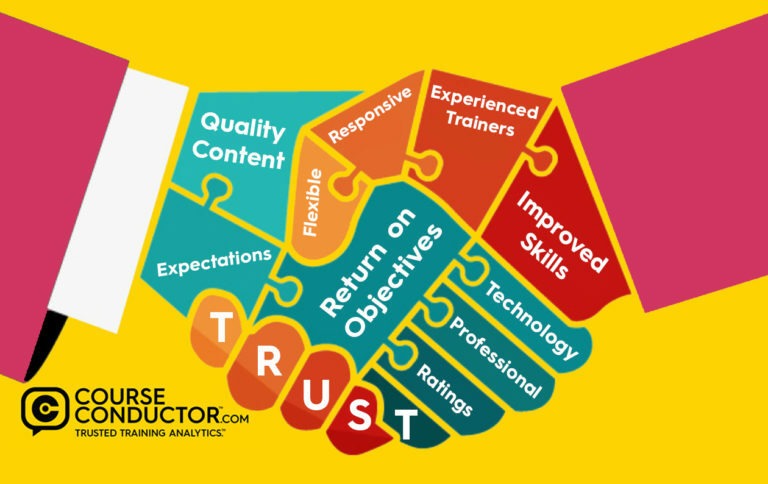 This little infographic explains how we measure Training Trustworthiness and create the Trusted Training Radar™. Important note: Comparing small, medium and large training providers. One of my big challenges with designing the algorithm was the recognition that there are thousands of smaller high-quality boutique training providers delivering fantastic courses. I needed to ensure they can be fairly positioned on the Trusted Training Radar alongside larger training providers with much higher volumes of courses. To achieve this, I’ve used various weighting and normalization techniques to level the playing field and ensure a continued focus on quality. Who is using the Trusted Training Radar™, and why? The Trusted Training Radar™ is currently being used by healthcare systems, global companies and governments to inform decisions on $1.2 million worth of project management, healthcare and IT training. Our target is to help companies make $50 billion dollars worth of confident training investment decisions by December 2023. We have a long journey ahead of us before we hit that goal, however the hardest part of an important journey is taking the first steps up the mountain, and they are behind us. What value do companies experience when using the Trusted Training Radar™? There are two main groups of business professionals experiencing value. 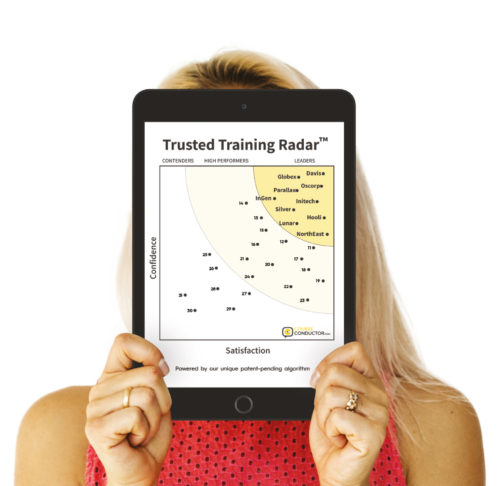 Training & Development Teams, PMO’s, Procurement Professionals and Vendor/Category Managers: Use the Trusted Training Radar™ to shortlist training providers for new training requirements, and benchmark the trustworthiness of existing training providers and courses. A) Reduced effort, reduced costs and reduced lead time when selecting training providers and courses. B) Increased quality of training executive reporting. C) Increased overall learning impact. Executive Leadership and HR Directors: Use the Trusted Training Radar™ to health check or audit current training performance, benchmark with industry and optimize total investment in corporate training. A) Increased efficiency when allocating and reallocating training investments. B) Increased visibility of training contribution to the transformation strategy. C) More informed and confident strategic decision making. I like it…can I use the Trusted Training Radar™ in my company? Yes, starting now! If any of the following statements are true for you and your company, the Trusted Training Radar will help you today. 1) We will be buying professional training in the future. 2) Benchmarking the “Trustworthiness” of our existing training providers interests me. 3) Optimizing our total investment in training is something we want to do. If these statements resonate with you, let’s have a conversation and talk more about your situation. You can book a time that suits you from this clever little app. Alternatively, just write “Trusted Training Radar” in the comments of this article and we’ll connect with you personally. 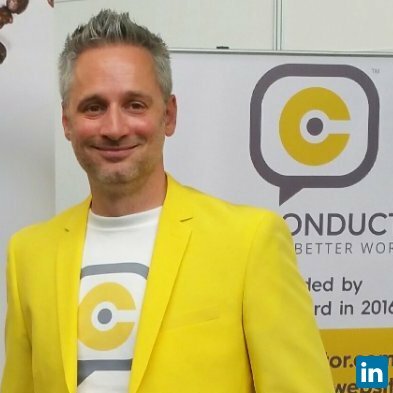 As always, I love to hear the thoughts from the professional community, so I’m looking forward to your opinions on this new way of working. I’m particularly interested to hear about the pains and successes that people have experienced when choosing training providers, and whether you feel the Trusted Training Radar™ would help. Note for Training Providers: If you would like to be considered for training opportunities, please email or book a time to discuss the selection process here. *Training Magazine says companies spend $350 billion a year on training. I multiplied that by 5 years to get an estimate of $1.7 trillion. Want to use this infographic in you blog? Use this code to easily embed it.